All I know is that this kind of thing doesn’t happen around here or my car would be a lot cleaner. More Slave Leia car wash pictures here. Even more car wash photos here. A letter from Steve Jobs regarding Adobe’s Flash. 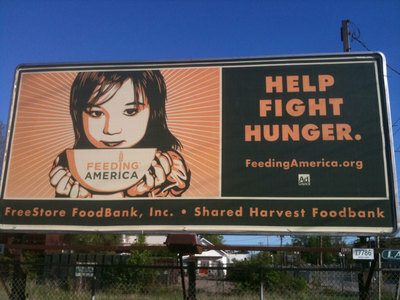 Great pictures of the setup of Shepard Fairey’s May Day show at Deitch Gallery. If you’re going to be in NYC, you should definitely check out this show. Check the link for a video of their Argentine Tango rehearsal. Chad and Cheryl are practicing at Step-N-Out Dance Studio in Covington. I’ve been there, it’s a nice place to dance. I also heard that Chad and Cheryl showed up at Havana Martini on Wednesday night! Link to more photographs of Chad and Cheryl’s rehearsal. 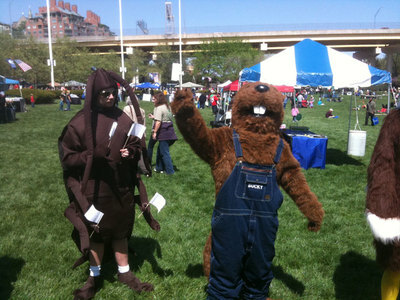 Kind of stumbled across Earth Day celebrations over the weekend at Sawyer Point. Here are some photos that I took with my iPhone. 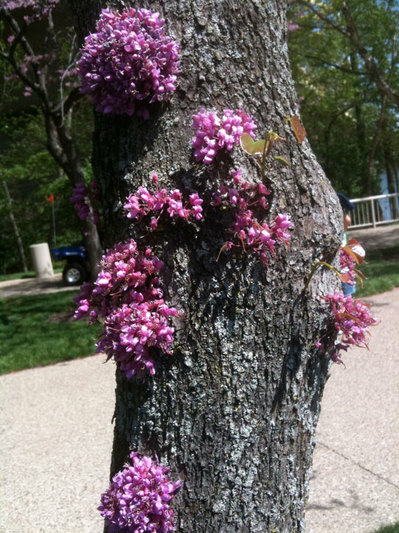 Maybe I’ve just never noticed, but I didn’t know that flowers will bloom on the trunk of a tree. 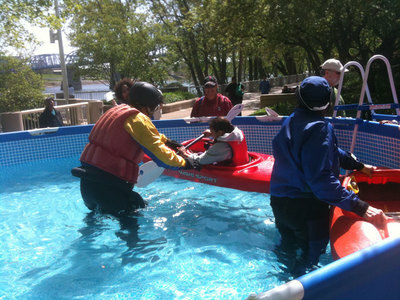 Here is a child’s first experience at kayaking. Mascots lining up for a parade. Not exactly sure what the deal is with the cockroach and the flags. 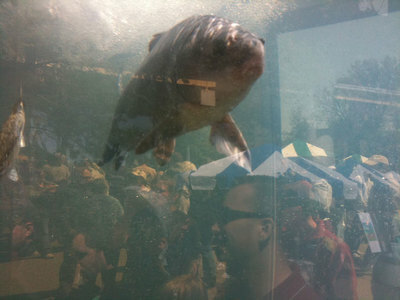 A giant tank of all sorts of fish that can be found in the Ohio River. 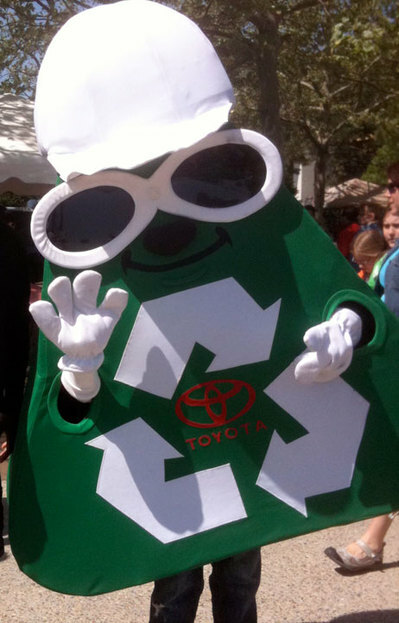 It’s the Toyota recycling mascot. Strangely enough, I ended up carrying a paper cup much of the time because I couldn’t find a place to recycle it. I tried putting “Rotheseburgehergh” on a Steelers jersey at NFLshop.com, but it’s six letters too long and it’s doubtful that the NFLshop would allow one to be made. So, I decided to mock one up for fun. 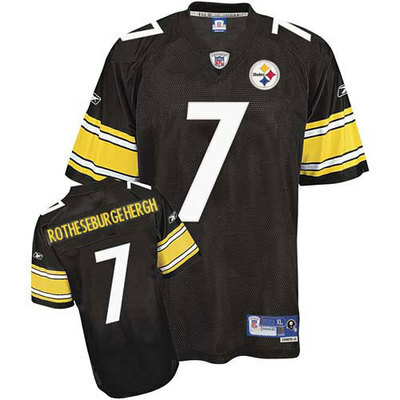 Interestingly, the correct spelling of Roethlisberger is also too many letters for the custom jersey website. 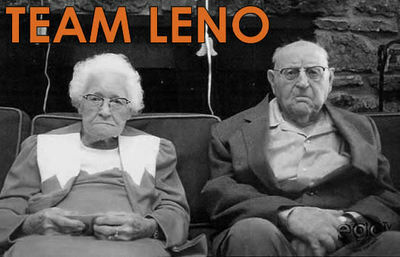 Looks like Team Leno is assembling. 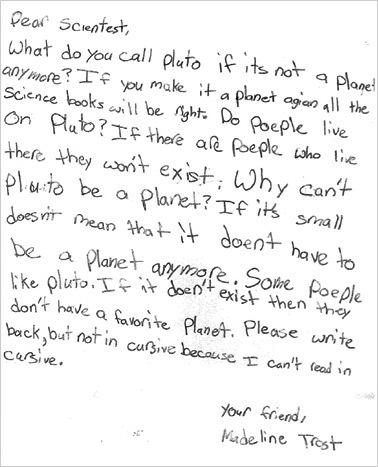 These are pretty funny letters regarding the downgrading of Pluto from planet to dwarf planet. 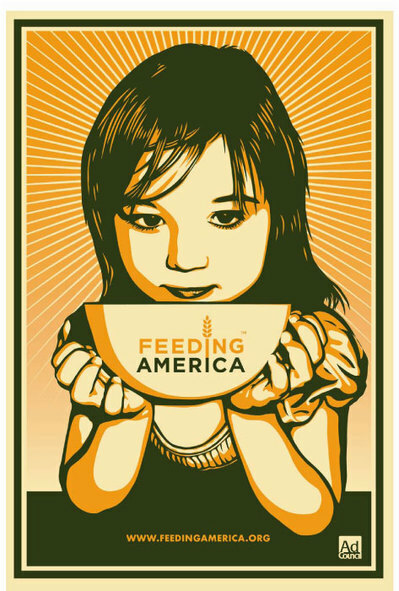 Billed as “the Event of the Season”, Shepard Fairey is returning to Cincinnati on May 22, 2010 to DJ in a Backstage area street party for the CAC annual benefit bash. 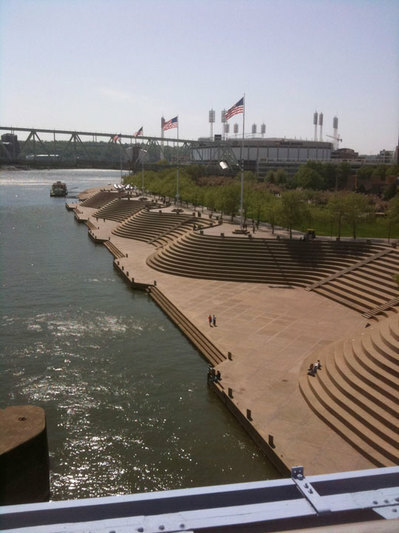 For more information and tickets visit the Cincinnati Contemporary Arts Center website.